If your loved one has suffered from nursing home abuse or neglect in Morrow, Georgia, know that they are not alone. Unfortunately both occur frequently across various nursing homes in Georgia. That’s why at Schenk Smith we have dedicated all of our efforts and resources to assist individuals who are pursuing claims against nursing homes. Once you’ve had the chance to visit our site, please give us a call so that we can discuss your case. We’re here to help you. Abuse and neglect occur way too often. Neglect happens when nursing homes fail to follow the proper procedures set forth by the residents physician and the nursing home. It is usually an unintentional act that leads to an injury. Abuse on the other hand is an intentional act from either a resident or a staff member with the intent to harm. Neither abuse nor neglect should ever be tolerated in any nursing home. My loved one was badly hurt – Can I sue the nursing home? If your loved one was hurt at a nursing home and the nursing home is responsible, then it is within your loved one’s right to pursue a lawsuit. Nursing homes are required by Georgia law to provide a reasonable standard of care. This includes having a full well trained staff. When a nursing home doesn’t have enough staff, or fails to hire the right staff, negligence usually occurs. When this happens, injuries occur, which means that the nursing home may be held liable. The same applies when abuse takes place. Physical or emotional abuse can lead to injuries and can deter a resident’s health. When this takes place, the nursing home may be held liable, regardless if the abuse came from a staff member or another resident. If your loved one was injured due to a violent resident being combative, then the nursing home may be held liable. Nursing homes are required to conduct assessments on each and every resident, which means they should know which residents are prone to physical violence. Failure to conduct assessments, or take the proper safety measures can lead to residents such as your loved one getting injured. If this occurs, then it is within your right to pursue a lawsuit. How long do I have to sue the nursing home? In Georgia, the statute of limitations for personal injury and medical malpractice is two years. So you have two years to file a lawsuit arising from an injury caused by negligence or abuse from the nursing home. If you fail to bring the suit within the time frame, then you’ll be pretty much guaranteed to have you case dismissed by the court. There are certain nursing home cases that have certain other requirements that must be met prior to filing. For example, an affidavit by a medical professional supporting the claim, can take time. So this must be done within the two year window. It’s important to not procrastinate, which is why if your loved one has suffered from nursing home neglect or abuse, it is imperative that you speak with an attorney immediately, so that they can get the ball rolling on your case. An attorney will help you to make sure your case does goes to trial within the time frame. We are Schenk Smith, your Morrow nursing home lawyers. At Schenk Smith we are completely dedicated to helping elderly residents who have suffered from nursing home abuse or neglect. We do not practice any other form of law, nor are we interested in representing any other type of clients. Our dedication and approach stems from our founding attorney Will Smith, who before becoming an attorney, was a CNA in nursing homes around Georgia. Will Smith is also a Marine, which is why we take our approach towards helping our clients very serious. When you visit our site, you will notice that we have over 200 videos, countless podcast episodes, and plenty blog articles all dedicated to helping individuals seeking to pursue a lawsuit against a nursing home. After you’ve had the chance to check out our resources, please give us a call so that we schedule a free consultation to discuss your case. We’ll come to you regardless of where you live. Whether you’re by the Reynolds Nature Preserve, the Southlake Mall, or Wall Lake, we’ve got you. Nursing Home Abuse & Neglect in Morrow, Georgia – What you need to know. Morrow, Georgia is located in Clayton County. It has a population of 7,069 residents, of which 6.90% are aged 65 and older. Like in other nursing homes around the state of Georgia, neglect and abuse occur often. What are the most common signs of nursing home neglect? These usually occur when a nursing home fails to hire enough staff, or fails to hire people who are adequate enough to work in a nursing home. Working in a nursing home requires lots of patience, as well as attention to detail. Sometimes certain residents have specific requirements such as a specific diet. When a nursing home fails to follow a resident’s diet, or fails to feed their residents, then neglect will often occur. Unexplained injuries usually occur from unsafe environments, or when nursing home staff members fail to assist residents. Changes in behavior sometimes occur when nursing home staff members fail to assist a resident, or simply ignore them. This can cause emotional distress which can lead to a decline in their health. My loved one developed a bedsore – is this a sign of neglect? Bedsores are a very common injury, as nearly 10% of nursing home residents have a bedsore at any given time. Whether the bedsore developed as a sign of neglect will depend on the case. Avoidable bedsores mean that nursing homes did not properly evaluate your loved one’s risk of bedsores, or implement bedsore preventions that are tailored to your loved one’s risk factors. It also occurs when nursing homes fail to continually monitor and evaluate those who are prone to bedsores. Unavoidable means that a bedsore will still occur despite the nursing home taking all these preventative steps. If your loved one didn’t receive the proper treatments or care to prevent their bedsore, then the nursing home may be held liable. Why is nursing care in Georgia so poor? Poor nursing home care is ultimately the fault of the owners and the staff of the nursing home. Working at a nursing home is very difficult, because CNA’s are often forced to work long hours, and are usually underpaid. At times their work goes underappreciated from both the facility and the families. Working environments such as these, usually result in toxic environments due to a couple bad apples. Most CNA’s take pride in their job, as they usually love their residents, and usually get the job done without incidents. But their jobs are often physically and mentally demanding, which can lead to negligence on their part. The elderly are vulnerable citizens due to their health status. Unfortunately they usually bear the brunt of poor quality care. When the nursing home owners fail to provide the tools and fail to pay their staff members a fair salary, the quality of service usually falters as a result. My loved one was hurt in a Morrow nursing home – What do I do next? If your loved one has been injured, abused, or has passed away at a Morrow, Georgia nursing home, we recommend for you to act immediately, in order to protect their rights. First, report the incident to the appropriate Georgia authorities. The Healthcare Facility Regulation is a division of The Georgia Department of Community Health, that investigates cases of nursing home abuse and neglect against residents. This division also regulates and certifies nursing homes in the state of Georgia. The Georgia Office of the Long-Term Care Ombudsman is another route you can take. The Ombudsman program consists of individuals who look to resolve cases of neglect or abuse between residents and their nursing homes. These individuals are also authorized by law to enter nursing homes and ask questions. If your loved one has been injured due to an assault from a nursing home staff member or another resident, then you should file a police report immediately. Depending on the severity of the crime, criminal charges may be brought against the perpetrator by the District Attorney’s Office: Clayton Judicial District. For abuse occurring in a Morrow, Georgia nursing home, report the crime to the Police Department of Morrow, Georgia or the Clayton County Sheriff. If your loved one has suffered from nursing home neglect or abuse, then it’s in your best interest to find a better suited facility. When you begin researching and looking at potential facilities, it is important to conduct walkthroughs. During these walkthroughs, ask as many questions as possible so that you can get a feel for the nursing home staff and the facility itself. Another tool to use is the Nursing Home Compare website, which compiles data on ever nursing home around the country. Each nursing home is given a rating off a 5-star system. These ratings are based off several factors including, quality, inspection scores, and nurse-to-resident ratios. For your convenience, a list of all nursing homes located in Morrow, Georgia is located below, along with their contact information and inspection scores. If neglect or abuse has occurred and your loved one was injured as a result of it, it is imperative that you seek their medical records immediately. The reason so, is because nursing homes will usually stop at nothing to place the blame of the injury on your loved one. For example, if your loved one suffers a broken bone due to a slip and fall from a slippery unsafe floor, the nursing home will try to claim that their bone was already broken before the fall. Even if the evidence is stacked against the nursing home, they will still try to deny it. To protect your loved one’s rights, you need to obtain their medical records. The records will usually show who the primary physician was, plus information on their hospital visits. It is also important to obtain the nursing home medical records, because sometimes those will show negligence or abuse that may have taken place before. But state and federal third-party privacy laws prevent that, unless you have the proper written authorization form. The proper written authorization will usually come in the form of a power of attorney, guardianship paperwork, or a healthcare directive. If your loved one has been injured at a Morrow nursing home, then their medical records will most likely be located at one of the hospitals listed below. After you’ve obtained the proper written authorization, your next step will need to be to make a request to the Release of Information Department of the hospital. Just because your loved one has passed, doesn’t mean their right to pursue a lawsuit is not valid. A deceased person’s right to pursue a lawsuit is handed over to the Estate. For example, the plaintiff goes from being “Jane Doe” to “The Estate of Jane Doe”. Before the lawsuit can be filed, the Estate will first need to be established. The surviving spouse, child, or relative will need to petition the Probate Court of the County in which the deceased has passed. If you’ve found yourself in this situation, it is imperative that you setup the Estate as soon as possible. In doing so, you will need to appoint a personal representative who is often referred to as an Executor or an Administrator. This personal representative will then act on behalf of the Estate, and will make all the decisions with regards to the lawsuit. Click here for the Probate Court of Clayton County. There are no two nursing homes alike. Each have their own pros and cons, which makes them different. Below is a list of the nursing homes located in Morrow, Georgia, along with relevant information for each. This information is taken from CMS’ Nursing Home Compare Website. 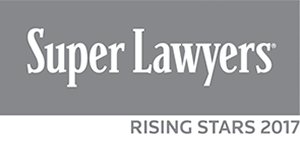 Highly Regarded: Our attorneys have been selected as Georgia Super Lawyer Rising Stars, which shows our value. This is just another reason why we are the best Google reviewed law firm in Georgia that focuses on nursing home cases. If that’s not enough, then check out our client testimonials, and see for yourself why we are highly regarded. Family Atmosphere: While we do offer free consultations to anyone, we are selective with the cases we choose to represent. Being selective allows us to use all of our efforts and skills in making sure you see the verdict or settlement you’re looking for. Our clients will deal almost exclusively with an attorney, not a case manager, which is why we are often told that clients feel like we are family. Results: Our knowledge and singular approach has allowed us to bring home plenty of results for our clients. In the past two years we’ve had millions in verdicts and settlements for our clients. We constantly seek to help out our clients as we continue to attend and lead education seminars dedicated towards nursing home cases. If your loved one was injured or died in a Morrow, Georgia nursing home, please call us at Schenk Smith (678) 823-7678 for a free consultation. You can also check out hundreds of video FAQs on our website.